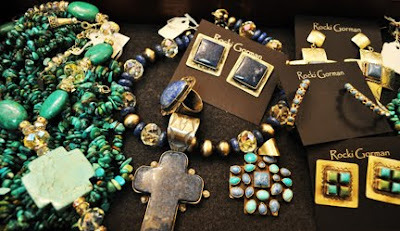 Love the mix of turquoise & lapis together! Rocki does a beautiful job combining these stones together! Shown here is large lapis cross and square earring, crystal & turquoise strand necklace, and lapis & silver beaded necklace....Love the multi-stone lapis & turquoise cross-this piece is a special price too!